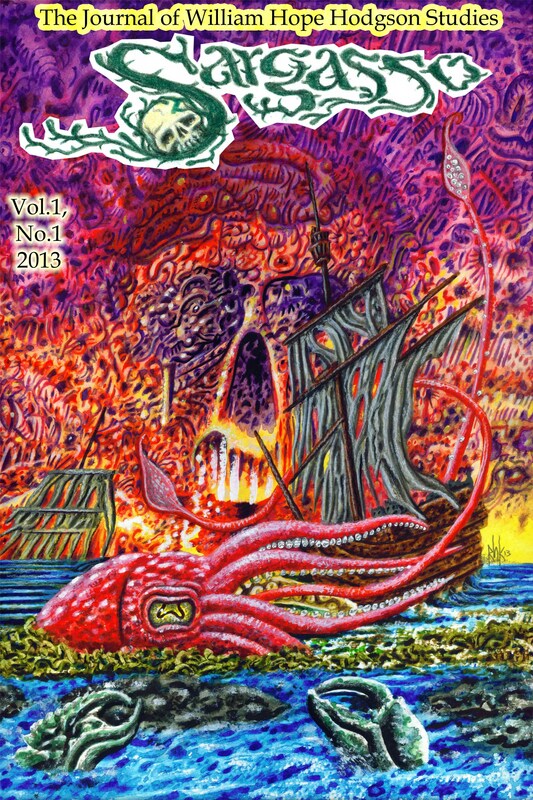 If you’ve been putting off getting a copy of the first issue of “SARGASSO: The Journal of William Hope Hodgson Studies” then you’d better not delay! After Necronomicon, pre-order and contributor’s copies, I only have about a dozen left of the 150 print run. This book will NOT be reprinted so it’s only going to go up in price if you don’t snag a copy now! It includes essays by such Hodgson scholars as Mark Valentine, Jane Frank, Emily Alder, Phillip Ellis and many more as well as new Hodgsonian fiction by Pierre Comtois and William Miekle. It’s over 200+ pages with artwork by Pete von Sholly, Nick Gucker, Allen Koszowski and more. Can you really risk missing out? Copies are available for $20 (plus $5 s&h in US and $10 s&h foreign) via paypal to: sargassomagazine@yahoo.com but they won’t last much longer! Most excellent. I bought your book of essays too. I’ve been trying to get people to discover and appreciate WHH for decades since I first read the Ballantine Adult Fantasy paperbacks in the ’70s. I was so excited when the collected works came out from Night Shade and now there is finally some overdue recognition of how pioneering and influential his work was. Thanks for buying the book of essays and hope you enjoy them! My goal is that all I’ve done will help and provoke not only more study of WHH but also more people discovering and reading his work. Just got my copy and am thoroughly enjoying it. Nice work!